You could say that a Byzantine Studies Research Center at Boğaziçi University has been a long time in the making. Alexander Van Millingen (1814–195), one of the first professors at Robert College, was a renowned scholar of Byzantine Constantinople and well known for his 1899 book Byzantine Constantinople: The Walls of the City and Adjoining Historical Sites. In his will, Van Millingen instructed that his entire collection of books be given to Boğaziçi’s library – these volumes were the cornerstone of what would become one of the best university libraries in Turkey. Prof Dr Gülay Barbarosoğlu, the rector of Boğaziçi University, told us this story at the official opening ceremony of the centre – the first of its kind to be attached to a public university in Turkey – on November 24. Sitting as we were in Van Millingen Hall, in what was formerly the reading room of the library and now the rector’s conference hall, the ties between Boğaziçi and Byzantine studies were as clear as the Bosphorus. Next came the director of the centre, and a leading scholar of Byzantium, Prof Dr Nevra Necipoğlu, sister of the Ottoman architectural historan Gülru, who wrote what ten years on remains the book on Sinan. She took to the podium to introduce the centre in more detail and welcome two illustrious speakers who would be presenting their research. Practically beaming, she emphasised how ‘incredibly exciting’ this moment was for her, as something that she and many others had worked on for quite some time. 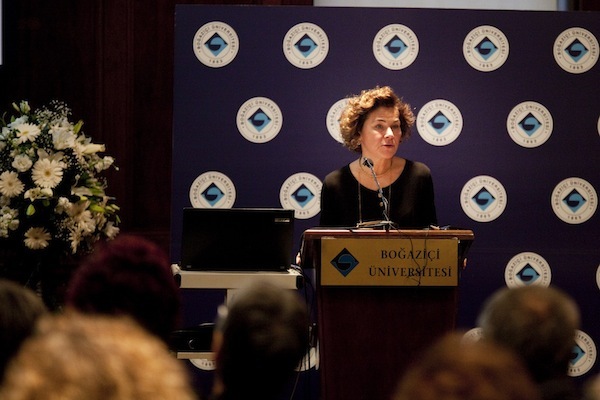 She explained how the study of this period, with its vibrant political, cultural and religious life, had become an integral part of the Boğaziçi curriculum. 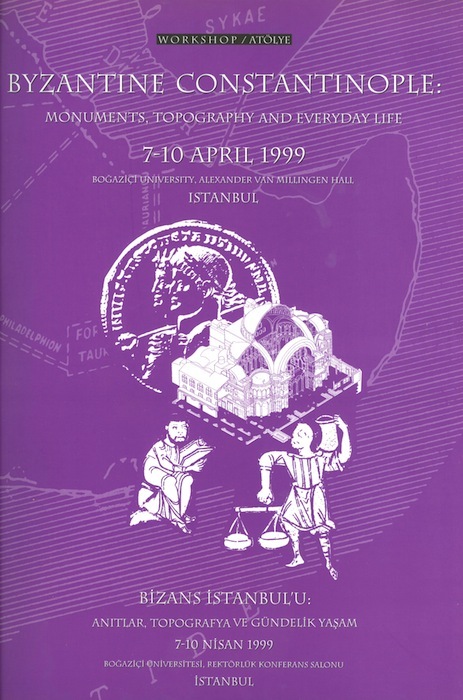 The university also contributed to the advancement of Byzantine studies within Istanbul through the organisation of major conferences, such as the one on the monuments, topography and everyday life of Byzantine Constantinople held in April 1999. 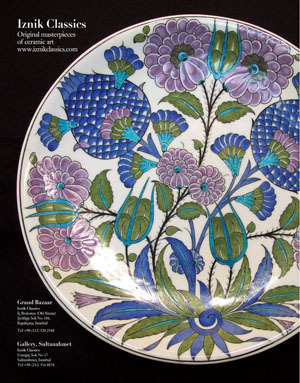 In her eyes, this was an important juncture demonstrating Boğaziçi’s serious engagement with the field. 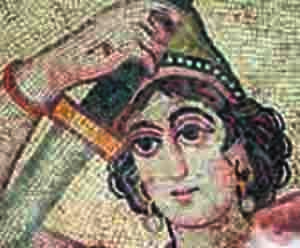 According to Necipoğlu, the centre’s aims are manifold – to contribute to the development of Byzantine studies, preserve Turkey’s Byzantine heritage, provide direct access to material remains of the Byzantine civilisation, and foster joint studies with other universities (incidentally, Koç University had opened a centre for Late Antique and Byzantine studies only two weeks earlier). There will also be a focus on the medieval Balkans and the early Ottoman Empire, more specifically the transition from the Byzantine Empire to the Ottoman Empire. In this undertaking, the centre will be bolstered by Boğaziçi’s other faculties, in particular its well-regarded department of history. Support for the centre was evident not just from the crowds that packed the conference hall to its rafters, but also from the many prominent academics who championed this venture. Necipoğlu paid tribute to two scholars who would have been only too happy to see the centre finally open: Prof Angeliki Laiou, her PhD advisor at Harvard University who inspired and mentored an entire generation of Byzantine scholars before passing away in 2008, and Prof Vangelis Kechriotis, a beloved professor of history at Boğaziçi and a member of the centre’s advisory board, who died in August. She then handed over the podium to two respected scholars. Prof Dimiter Angelov of Harvard University – whose great-grandmother attended Robert College – gave a lecture on the 13th-century Byzantine emperor Theodore II Laskaris and what his writings show us about the political and socio-economic realities in the aftermath of the Fourth Crusade, Laskaris’s activities as Emperor of Nicaea and his search for identity in Anatolia. Next came Prof Maria Mavroudi, currently at UC Berkeley, who gave a nuanced analysis of Byzantine philosophy and science at the court of Mehmed the Conqueror, with a particular focus on the various historiographical approaches to the intellectual achievements of the Byzantines and the Ottomans. 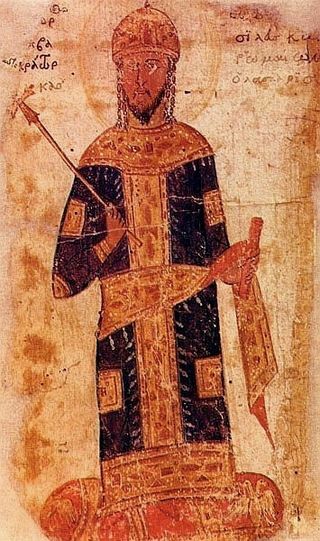 With these initial talks, which illuminated the depth and range of recent scholarship on the Byzantine Empire, the centre is off to a good start. As Necipoğlu stated, ‘There’s no reason why Istanbul should not fulfil its predestined role to be a preeminent centre for Byzantine studies.’ The same could be said for all other areas of academia that are closely linked with Istanbul – there are numerous aspects of both its history and environs that are neglected or deserve special consideration. For the moment, however, we applaud this development and look forward to seeing what it brings to the study of Byzantium. The first three images were provided by Boğaziçi University.